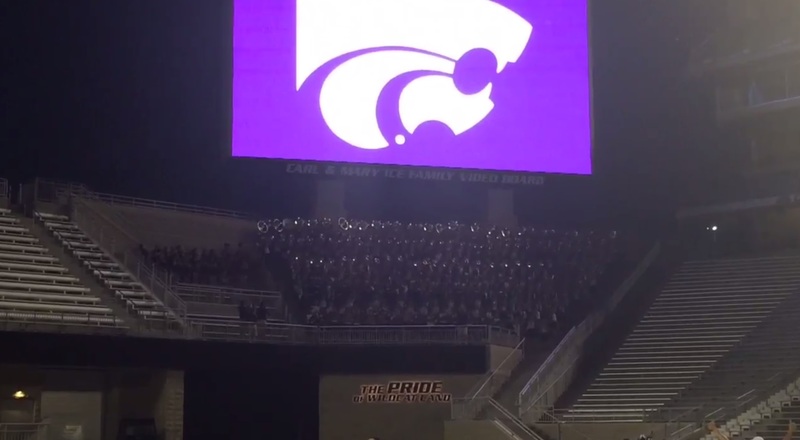 That's the word that came to mind when we saw the video below of the K-State Marching Band performing in their new seats. The University just completed a large renovation to their stadium that created a private area for the band. They now sit directly under the score board on an elevated platform that gives them easy access on and off the field. It also let's their sound be amplified considerably more than before. The Sudler Encore season is going to be awesome.